MAUCKPORT, Ind. (AP) — Two people have been arrested after conservation officers discovered drugs, turtle parts and Indian artifacts at a house in southern Indiana. SAN BERNARDINO, Calif. (AP) — Authorities say small animals including turtles, snakes and parakeets are feared dead in a fire at a Southern California reptile museum. MANILA, Philippines (AP) — Philippine authorities said Monday that they found more than 1,500 live exotic turtles stuffed inside luggage at Manila's airport. GALVESTON, Texas (AP) — Organizers say the first 19 Kemp's ridley sea turtle statues in Galveston's Turtles About Town project are completed and being set up. WAILUKU, Hawaii (AP) — Two environmental groups are suing Maui officials over plans to replace about 4,800 streetlights with LED fixtures, claiming the new lights would threaten seabirds and sea turtles. 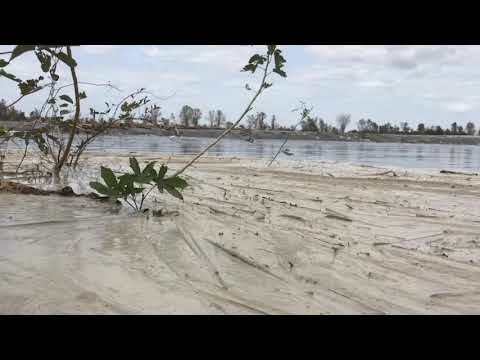 TALLAHASSEE, Fla. (AP) — Wildlife officials say sea turtles consistently nested on Florida beaches in 2018, despite lingering algae blooms that killed marine life and tropical storms that washed out habitat. The U.S. Attorney's Office for the Eastern District of Pennsylvania says David Sommers on Monday admitted to sending a package to Canada in 2014 containing 11 diamondback terrapin hatchlings. ISLAMORADA, Fla. (AP) — A loggerhead sea turtle that required surgery to remove a 2-foot-long (0.61-meter-long) eel from its body cavity has been released back into the waters off the Florida Keys. The turtle named "Shelmore" was returned to the ocean Saturday off Islamorada not far from the spot where it was discovered in September, floating and unable to dive. Veterinarians said the eel had eaten through the turtle's intestinal tract to get to the body cavity before dying. ALEXANDRIA, Va. (AP) — A Virginia man has pleaded guilty to illegally selling and transporting items made from endangered species and other wildlife, such as crocodiles, sea turtles and sawfish. Sixty-year-old Keith Foster, the owner of The Outpost antique and exotic merchandise store in Middleburg, pleaded guilty Wednesday to violating the Lacey Act. As part of his plea, Foster forfeited $275,000 and over 175 items made from wildlife. 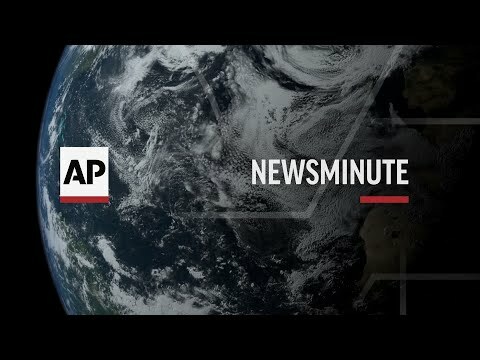 PORTLAND, Ore. (AP) — Two endangered sea turtles rescued in separate incidents after being stranded on the Oregon coast last week have died after attempts to rehabilitate them were unsuccessful. The Oregonian/OregonLive reports the first turtle, a female olive ridley, was spotted by a resident on a beach north of Coos Bay. PORTLAND, Oregon (AP) — Authorities have rescued a sea turtle from an Oregon coast beach for the second time in a week. The Oregonian/OregonLive reports the Oregon Coast Aquarium in Newport is caring for both turtles. A couple walking along the beach in Waldport spotted the second turtle Saturday and called the aquarium. State parks ranger Doug Sestrich carried the animal to safety. MARATHON, Fla. (AP) — Officials say 32 cold-stunned Kemp's ridley sea turtles rescued off New England's coast have arrived in the Florida Keys to warm up at the Turtle Hospital. TUCSON, Ariz. (AP) — The U.S. Fish and Wildlife Service has proposed protecting land in Pima County for an endangered aquatic turtle. BRISTOL, N.H. (AP) — A turtle given to a bedridden little boy in New Hampshire back in 1968 celebrated her 50th birthday with party hats, a sheet cake with the right number of candles and many well-wishers. WELLFLEET, Mass. 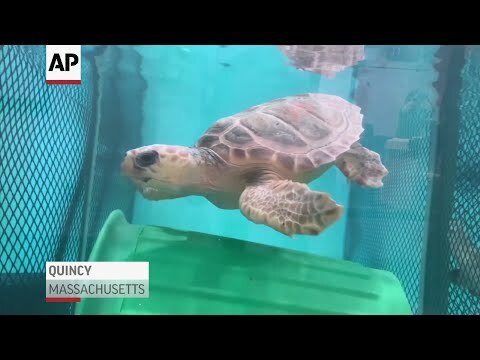 (AP) — An unusual number of sea turtles have been washing ashore in New England, many of which are a critically endangered turtle species called Kemp's ridley. EASTHAM, Mass. (AP) — Volunteers have rescued a massive leatherback turtle off a Massachusetts beach. SAN CLEMENTE, Calif. (AP) — Lifeguards helped rescue a giant sea turtle after it was accidentally hooked by an angler off a Southern California pier. San Clemente Marine Safety Officer Ian Burton says it took three people to hoist the 3-foot (1-meter) turtle from the water and hold it down to remove the hook. He estimated it weighed about 150 pounds (70 kilograms). Burton says the turtle quickly swam away as soon as it was returned to the waves. BOSTON (AP) — Scientists from the New England Aquarium say sea turtle deaths off the New England coast should play a role in a federal government decision about whether a large turtle's endangered status should be reconsidered. BATON ROUGE, La. (AP) — A Louisiana man has been cited caught with endangered sea turtle meat in his freezer. BOSTON (AP) — Marine biologists say sea turtle strandings are beginning early off of Massachusetts this year because of cold weather. The New England Aquarium says four endangered Kemp's ridley sea turtles have appeared on beaches in Eastham and Brewster, following chilly weather in the past two weeks. The aquarium says hypothermic young sea turtles usually begin stranding on Cape Cod shores during the first week of November.